Hollywood has always been meta. 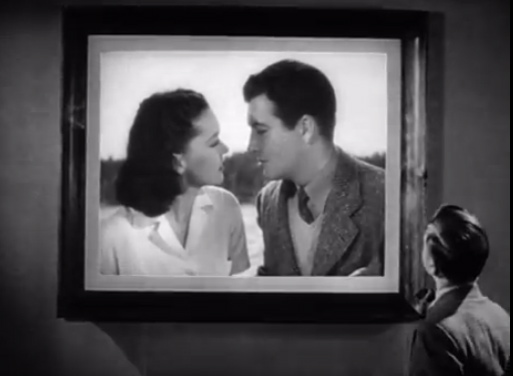 The interior narrative world of the Andy Hardy movies exists in tension with the exterior narrative world of other Hollywood movies, as the gallery of famous love scenes in the trailer for Love Finds Andy Hardy suggests. The frames on the wall appear at first to hold still images from famous films. But then suddenly–as if activated by Andy’s gaze–they begin to move. Andy becomes, essentially, the movie audience. The pre-television era is already haunted by a flat screen future. 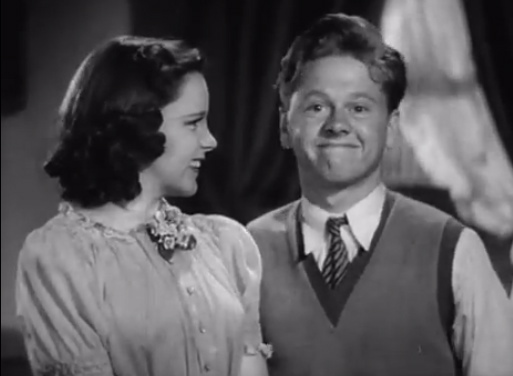 When Andy says, “Maybe love has found Andy Hardy,” he seems to be speaking not as Andy, but as Mickey Rooney. In the shot immediately following the gallery sequence–a shot that takes us into the world of the film itself–Andy glances directly at the camera in a moment that maintains the meta-ness of the opening sequence. 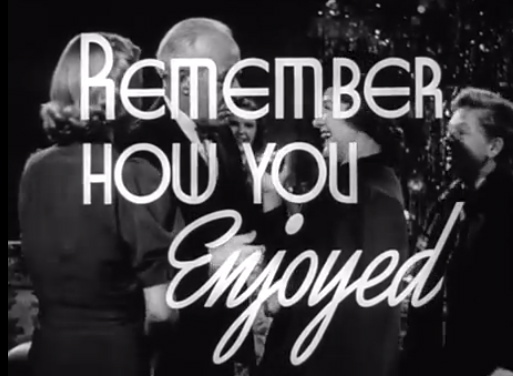 At around 2:35 the screen caption directly addresses the audience. The open, free-ranging self-referential mode not only of the Andy Hardy movies but so many others from the classic Hollywood is only one of the narrative choices that gives lie to the notion that a special feature of postmodern cinema is its heightened self-awareness.